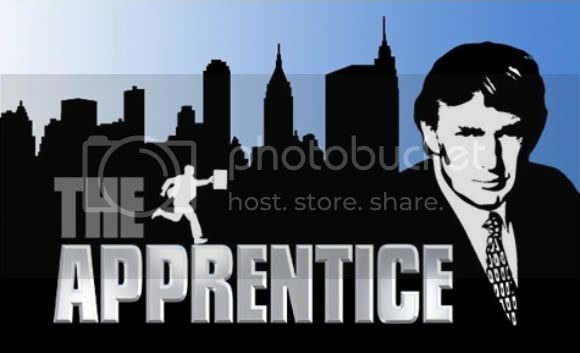 Quick Take: The Apprentice, "10.4"
(S1004) I wasn’t planning on making The (non-celebrity) Apprentice regular viewing, but like a true reality TV junkie, I found myself “accidentally” tuning in once again. Luckily Mr. Trump rewarded my return with a much more interesting and creative task than last week. I always prefer challenges that involve advertising. It’s amusing to see the contestants be creative and produce something, rather than simply raising money or peddling items on the street. Today’s task assigned the two teams to create a viral, guerrilla-style advertisement for a company called Popcorn, Indiana, which produces - you guessed it! – chewing gum. No, it’s popcorn, but I bet I had you fooled. Though Wade is eager for a shot, the men elect Clint as project manager, and he proves to be by far the most even-keeled leader they’ve had to date. Their project got off to an ominous start when David suffered a “tooth emergency” while eating a bagel. You can’t make this stuff up, folks. David missed most of the task as a result, but because he’s kind of crazy, his absence probably ended up helping the team. I can’t take credit for the comparison, but David is totally a less likable, real-life version of Andy Bernard from The Office. Hopefully he’ll get more of a chance to go nuts next week, now that his dental situation is under control. The women selected the aggressive Mahsa as their project manager. She starts off by announcing that “I’m going to be very bossy.” Hey, at least she owns it. For the women’s viral ad, they decide to film people eating popcorn while working out at a gym, in an attempt at a little ironic humor. Tyana hates this idea because it’s not very guerrilla and isn’t much of stunt. She’s right, but because she doesn’t offer an alternative, no one really listens or takes her seriously. She spends the rest of the time off to the side looking sour, which doesn’t sit well with her teammates. Overall, the women’s ad was a cute idea, but they didn’t take it far enough to be really memorable, or even very funny. Meanwhile, Clint and the men decide to stage a giant popcorn fight outside of Trump Tower. If you give a group of guys a challenge with a camera, having a fight scene is always going to be near the top of the list of ideas. Wade, however, is concerned that they might be “pushing the envelope” with too much violence. Popcorn attacks are a growing problem with today’s youth, so he may have a point. In the end, the men succeeded in creating an event that drew a crowd and resulted in a fairly funny video. Clint was quite confident, saying, “If this thing doesn’t go viral, then there’s no such thing as viral!” On the downside, the commercial primarily involved dumping the product on the ground, which probably isn’t ideal. Plus there was all that brutal, uncensored violence. Back at the boardroom, Trump reveals that the Popcorn, Indiana executive preferred the men’s ad, sending the women to the chopping block. Once again everyone bands together against one person, with Tyana being the target of everyone’s vitriol this week, despite being the only person who challenged their losing concept. 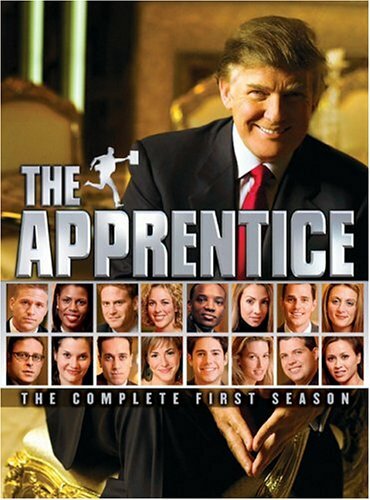 In one particularly awkward moment, Mahsa calls Tyana the “weakest member of the team,” but Trump misinterprets it as “the biggest member of the team?” Classic. Despite Tyana having little to do with the team’s failure, the fact that she mostly sat on the sidelines and complained results in her getting the boot over project manager Mahsa. Given Mahsa’s volatile nature, I’m pleased that she’s still around, though I do feel bad for Tyana who gets fired on a task she had almost nothing to do with. Next week appears to be an epic train-wreck involving runway models, so I’ll probably end up stumbling into this show again. Did you like tonight’s episode? Did the right person get fired? Comment away! Was I the one who made the David/Andy Bernard connection initially? In any event, it's an uncanny and nearly creepy likeness, both in appearance and manic-personality wise. No doubt the guy's winning had a lot to do with his absence. This was a week where I was disappointed with Trump's reasoning on the firing. Tyana's lack of a counter-strategy didn't really affect the team's loss at all. As he himself said, the idea was there according to the execs, just not pushed far enough (and Trump Jr. pointed out that Mahsa was a force in reining things in). I first read the Andy thing at EW.com, but you certainly could have come up with it first. It's so uncanny that I'm sure several people have made the connection independtently. I wasn't a big fan of Trump's reasoning either, but I think Mahsa provides more entertainment value, so I was glad she stayed. I doubt I came up with it first -- once you think of it it's just too perfect... the guy is a walking/talking evil Ed Helms caricature.